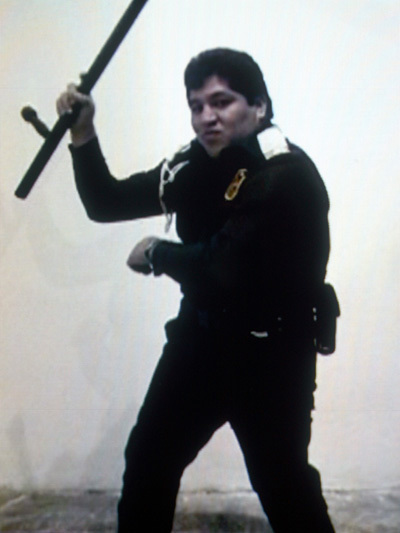 In the video Poli IV, Yosuha Okón asks a Mexico City policeman to demonstrate his ability with the baton. 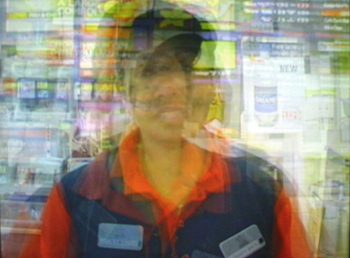 All Employees is a project for which Yosuha Okón went to all the “Carl’s Jr” (a chain of fast food restaurants) in Los Angeles and shot brief videos of each one of the employees presenting him/herself behind the counter. The final result is a video in which, one by one, all the employees get layered one on top of the other until many levels get constructed creating an abstract mass. Sudden Death is a set of five photographs taken at a gated community in the middle of the tropical forests of Oaxaca. 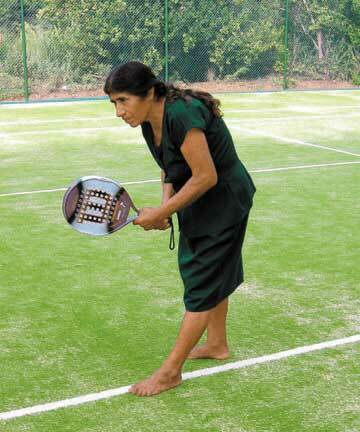 Tomasa, a Chatina healer, poses as if she were playing paddle-tennis amongst the contrasting greenery of the foreign tennis courts and the local vegetation.